The Zoo supports the efforts of the Kea Conservation Trust (KCT) to conserve wild kea in their natural habitat and increase the husbandry standards and advocacy potential of kea in human care. Collaborative projects include comprehensive population research incorporating satellite and VHF radio tracking, nest monitoring, and use of acoustic recording devices. The Zoo has also supported the development of kea repellents to reduce human-wildlife conflict situations. Currently, the Zoo’s Project Saving Species Program is supporting the KCT’s Kea-Community Conflict Response Plan, which is a multi-year proactive community-focused conflict response and resolution program that aims to identify the nature of conflict experienced by people living within kea habitat, provide ‘first response’ during conflict situations, help people deal proactively to prevent problem situations arising in the first instance and research practical methods of conflict resolution in collaboration and partnership with communities and the New Zealand Department of Conservation (DOC). 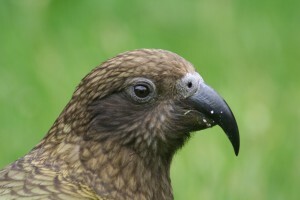 Highly intelligent and neophilic (attracted to anything new), keas are drawn to human areas, activity and property. Their investigative behavior can result in the destruction of human property. Property damage is reported each year by private landowners, tourists, tourist operators and workers. Many more conflict events go unreported as people often deal with their concerns illegally. Although fully protected under the New Zealand Wildlife Act, an unknown number of keas are intentionally and illegally killed each year. Current legal methods of conflict resolution include the relocation of keas or legal extermination of nuisance kea with a permit. Neither solution is considered particularly effective or sustainable. The resolution of human-kea conflict is critical to the successful conservation of the endangered parrot. However, to ensure success, a concise plan which fosters community support is vital. Funds from the Cincinnati Zoo have supported a key personnel position, the Conflicts Resolution Coordinator, since 2014. Funds will also enable KCT personnel to enhance their skills in conflict resolution by sponsoring staff attendance at the internationally recognized Human-Wildlife Conflict Collaboration workshop in 2017. 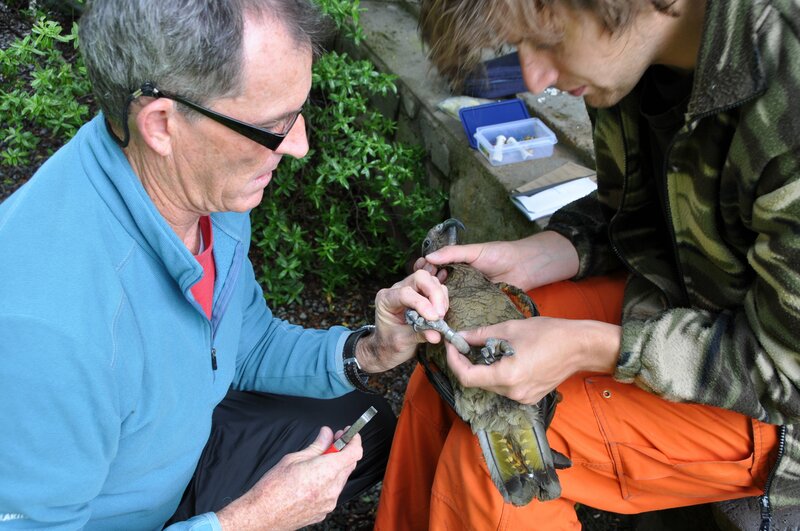 Additionally, Zoo aviculturists will join the KCT team in the New Zealand mountains for kea nest monitoring and field work over the next couple of years.